For a landscaping service that will bring a fresh look to your yard, call Mountain Heights Lawn Care, LLC. For over twenty years, we’ve been helping Alabama residents rediscover the beauty of enjoying the outdoors. If you’re ready to create or rediscover your backyard oasis, give us a call today. At Mountain Heights Lawn Care, LLC, we love to help our clients create the yard of their dreams and rediscover the beauty of being outdoors. Whether you’re looking for a completely new landscape design or a reliable service to help with lawn care in Birmingham, AL, we’re here to help. Our skilled designers and lawn technicians are passionate about creating outdoor spaces that are guaranteed to impress. When it comes to quality lawn care and landscaping in Birmingham, AL, we are the best in the business. Our professional landscapers and lawn technicians are the best in the business. We have over twenty years of satisfied customers to recommend us. 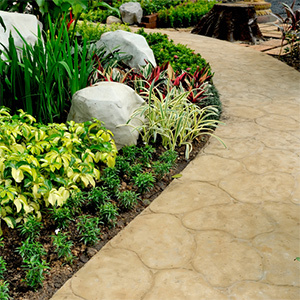 We offer more landscaping services and options than any of our competitors. "Rocky and his team are always great! It doesn't seem to matter when I contact him; they are always quick to come out and make our home look ..."
"The group of guys came out and cleaned up some overgrowth on my land that hadn't been touched in 20+ years. Now I have a lot more room to lo..."